Assignment: space. Create a composition of one or several paper bags, rendering each with line and tone If rendering more than one bag, draw one in complete tone, and let the others fade into a contour line. 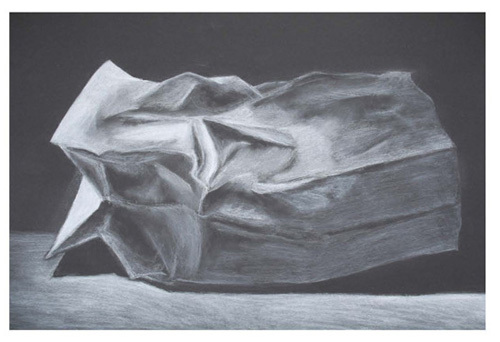 For developing tone on black paper with white charcoal, draw the lights and mid tones, rather than the shadows.